The guys upon whom you rely for your reputation. Tight nit group. Your lucky. Wish I had such crews while managing Maintenance Department for 20 million dollar corporation. 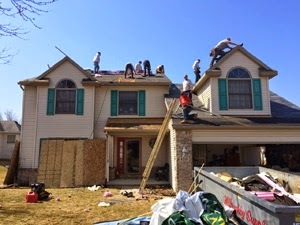 Your guys did a great job ensuring an on time completion of roof as promised. They are a credit to their profession. Don't be surprised if neighbors surrounding my house begin to call asking for same good service. Happy Easter! CHRIST HAS RISEN, HE HAS RISEN INDEED! Sincerely, Steve & Cynthia H.
Wow! It was great to know the homeowners were just as pleased with their new roof, as we were after completing the project and installing it as their professional roofing installer! I suppose this is why we are recognized as the Extreme Roofer! We go to the extreme on customer service, the level of quality of materials and service alike! Unfortunately not all homeowners choose 4 Guys and a Roof - The Extreme Roofer and do not get to enjoy the benefits of an Owens Corning Preferred Contractor and an A+ BBB Accredited BBB Member like us either. The BBB and Angie's List talk about homeowners who forget some basic steps to consider when deciding to complete any new home remodeling project. So in honor of this recent email we thought we would share with you 7 quick tips to consider when starting your next home remodeling project or roof replacement! These are only a few of the many steps we follow at 4 Guys and a Roof and and safe guards you should consider when remodeling. 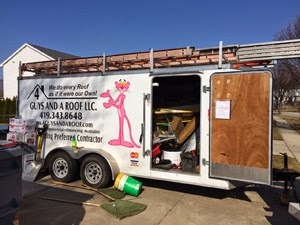 As the owner of 4 Guys and a Roof - if your home is in Northwest Ohio or Southeast Michigan - you owe it to yourself to get a free estimate for your peace of mind from me - Jamie, The Extreme Roofer of 4 Guys and a Roof! I invite you to visit our website at www.4guysandaroof.com today to watch our 3 minute video of a full roof install from beginning to end! Or if you have a question, email me the extreme roofer at 4GUYSANDAROOF@GMAIL.COM today! Award reflects company’s consistently high level of customer service 4 Guys and a Roof has earned the service industry’s coveted Angie’s List Super Service Award, reflecting an exemplary year of service provided to members of the local services marketplace and consumer review site in 2014. “Our entire company is extremely excited to be a 7 year Angie’s List Super Service Award Winner! 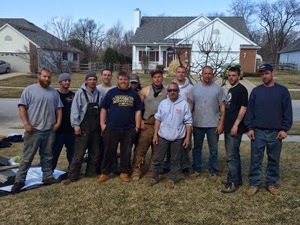 As the recognized local Extreme Roofer - customer service is always first on our list of priorities when it comes to roofing.” Explained, Owner of 4 Guys and a Roof, Jamie Wiertzykowski.